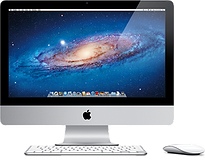 IMac Service Centre Certified Technicians will replace a cracked, damaged or defective display with a brand new Apple Genuine LED screen, direct from factory. All of our screens come with a 1 year manufacturers warranty. 2007-2011 Call for New Models. 21.5 " Glossy LCD Screen iMac Intel. 24 " Glossy LCD Screen iMac Intel. 27 " Glossy LCD Screen iMac Intel. Logic Board Repair 2009-2013 All Models iMac. Logic Board Repair 2007-2008 + G5 All Models iMac. Re-Compound Video & CPU All Models iMac. IMac Service Centre Certified Technicians will replace your optical drive with a brand new 8X dual layer superdrive. All of our Services come with a 45 days warranty. Al Fardhan Exchange Building, Khalid Bin Waleed Road, Next To Ascot Hotel, Bur Dubai, UAE.